Highlighting lush, layered flavors, bright acidity and impeccably balanced French oak, Migration is dedicated to crafting wines from the finest cool-climate winegrowing regions. Planted in 2003, and farmed by the Dierberg family, Drum Canyon Vineyard is located on the eastern edge of the famed Sta. Rita Hills winegrowing region, where cool, coastal breezes help to produce a beautifully structured Pinot Noir, with velvety tannins and pure notes of pomegranate, dark cherry and clove. 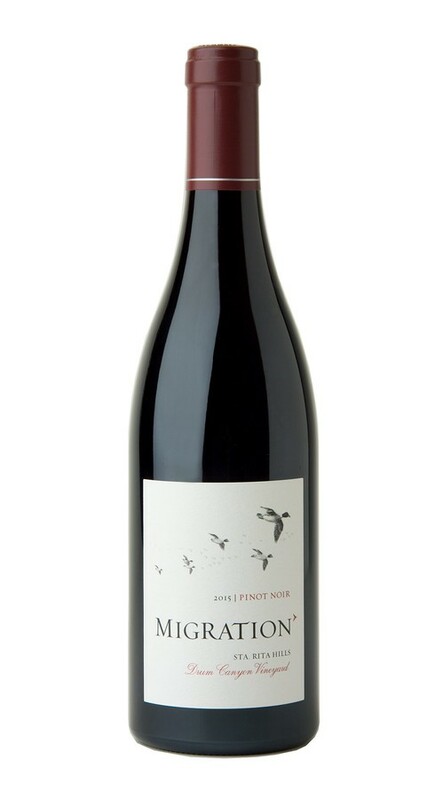 A beautiful expression of cool-climate Pinot Noir, this intensely aromatic wine offers aromas of wildflowers, red berries and spice. Poised and well-structured, layers of ripe cherry and blackberry glide across the palate before drawing to a long, mineral-driven finish.